WASHINGTON — Black Christian pastors, doctors and lawyers are calling on the Department of Health and Human Services to abolish its Office of Population Affairs, an entity that they say is responsible for funding contraceptive programs that are partly responsible for a “genocide” in their communities. 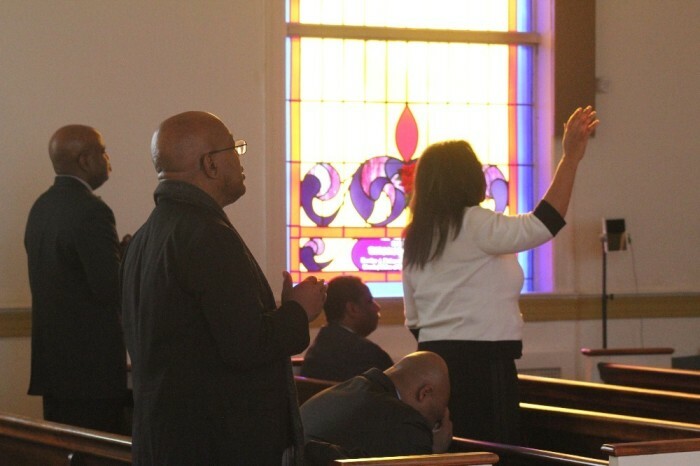 In the aftermath of the 2019 March for Life, dozens gathered at Emmanuel Church of God in Christ in Southeast D.C. Friday evening for the “Sudden Uprising” conference to speak out against abortion and to call for an end to federal birth control and contraceptive funding that they argue has helped reduce the African-American population to below replacement level. The conference was held to introduce a new report outlining the history of federal Title X family planning funding and its ties to the eugenics movement. The document is critical of the federal government’s complicity in funding contraceptive programs that were more concerned about population control than the side effects, diseases or damage to women’s reproductive system associated with the forms of contraception being given to women by clinics. The report was produced by The Douglass Leadership Institute, a D.C.-based national education and public policy nonprofit dedicated to issues of life, free market principles and limited government, in conjunction with the Georgia-based Restoration Project and the National Black Pro-Life Coalition. In 2018, the office administered $286,479,000 in Title X appropriated funds. “The reality many policymakers do not want to face is that the contraceptive methods that are most effective in preventing pregnancy — and thus pushed aggressively by many Title X-funded clinics — also increase women’s risk of both contracting dangerous or even fatal STD’s and facing long-term fertility challenges,” the report reads. The report comes as fertility in the United States is nearing its historic low, while sexually transmitted disease infection rates are reaching record highs. While fertility is decreasing across the board in the U.S., the decline in fertility for racial minority women has seen greater decline than white women. Data has shown that black women are twice as likely to face infertility as white women. The report criticizes the OPA’s push to fund birth control clinics that provide long-acting reversible contraception like intrauterine devices, contraceptive implants and contraceptive injections. “The use of LARC’s and permanent sterilization are strongly encouraged by both Medicaid and the OPA through innocuous sounding ‘quality’ measures. These metrics measure the ‘quality’ of the services they provide solely on the basis of preventing pregnancy, without regard to negative side effects, disease prevention or reproductive system damage,” reads the report. Although Title X funding can’t legally be used to perform abortions, the report objects to the fact that tens of millions of dollars each year go to clinics affiliated with the nation’s largest abortion provider, Planned Parenthood. The report was handed over to the Trump administration, which has been sympathetic to pro-life causes and has strived to fulfill campaign promises to the pro-life community.